Kinetic Analysis® demonstrates the added value of technology in peoples life, altering the perception and the capabilities of the human body functions. Growing as an expertise-based company in the sports tech market and expands rapidly into the health- and vitality sector. Founded in 2012 Kinetic Analysis® developed unique algorithms used in elite sports like soccer, hockey and golf. Furthermore expanding to rehabilitation, the company provided a base for using motion data for more effective results. Gaining extensive experience in collecting data in large populations, the company focussed on optimising the data collecting process. Kinetic Analysis® develops data capturing and storing devices like smart textiles and optical sensors combining datasets from different sources, creating impact in the vitality and healthcare sector. Further, build unique propositions for the sports market. The company is implementing new techniques for data analysis on physiological and biomechanical measurements combined with 3rd party data, to create useful applications. Kinetic Analysis® provides full-service development monitoring devices and software that can adjust to people’s daily lives. An amalgam of data science, sports- and behavioural science. The goal is to capture and analyse human motion data in a non-invasive but natural way, e.g. by using smart garments. Kinetic Analysis® provides the next generation of highly innovative motion measurement tools and data capturing solutions with a series of products in the domains of sports, vitality and health. Creating impact and opportunities with human motion data. We specialised in collecting and managing large datasets from groups of people. We perform data analysis to gain better insight in new domains through sports technology. We make things that are unseen by the naked eye visible through statistics, using the latest techniques in data science like artificial intelligence and machine learning. Kinetic Analysis® is a company based in the Netherlands, founded in 2012 by Maarten Gijssel, a clinical health scientist and sports-physiotherapist. Gijssels’ Masters and PhD research focused on clinically useful objective measurements of human motion. Collaborating with sports and health scientists, artificial intelligence specialists, software engineers, user experience designers and product designers, Kinetic Analysis aims to pioneer in the development of smart devices for human motion measurements. The focus of the research is on capturing motion and analysing the data – initially in the field of sports. The research has produced significant results and Kinetic Analysis® is now providing the next generation of highly innovative motion / activity measurement tools and data capturing solutions. In addition, large data sets are being collected continuously by our company, and partners, to improve the accuracy of our tools, to optimise human motion and other related fields. We love sharing our expertise through workshops for professional sports- and healthcare workers worldwide. 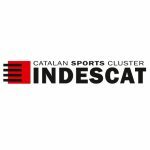 Empowering other businesses in motion analysis, running-related injuries and sports analysis for soccer, golf, hockey and tennis, among others, sharing our extensive experience in measurements of over 25.000 unique athletes in the first 5 years. Kinetic Analysis® creates smart devices, such as: smart textiles, 3D printed smart insoles, a balance assessment sensor and motion capture cameras; in collaboration with different partners in different projects. Kinetic Analysis® is a key stakeholder in applied R&D projects with a global impact, such as DWELL, iBT, Smart Sports Textiles and Nano4Sports’ PERTEX and CYTEX. And last but not least, in order to support other sports- and health-tech companies we are sharing our research skills and experience in creating algorithms to solve complex data problems, building customised products and services with great impact on the health technology market. 2012: sole proprietorship 2017 change legal entity into BV. Contracted research / Health Technology Assessment. 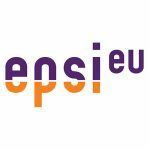 EPSI is a membership-based networking organisation within Europe that focuses on innovation in the areas of physical activity related to sport, leisure and health. EPSI strives for a more innovation-friendly environment for the EU sports industry, in order to stimulate technological innovation and to set up businesses with a focus on innovative technology. 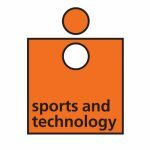 The Sports and Technology cluster is a non profit organisation and includes more than 100 SME companies, working in several field of sports. The cluster incorporates 9 (sport) field labs in the region, located around (top) sport facilities. FieldLabs are research and development locations in a real-life sports setting where new ideas, concepts, technologies and products are developed/tested in cooperation between sports, knowledge organisations and companies. Field labs have been developed for gymnastics, swimming, equestrian sports, soccer, sports for the disabled and sports stimulation. The enhancement of the cooperation between the members, the quest of new cooperative possibility and creation of business opportunities, Gathering and sharing the information concerning the cluster and the cluster’s members Advice to the cluster’s members (R+D, tenders, best practices, generation and managing of projects, business planning) Organization of events related to sports and healthy living, Sports marketing, market analyzing and researching activity, creation of a common image Sport health care services (medical, doping, regeneration, rehabilitation) Cluster representation and professional interest representation (lobby) Other demanded services provided in the interest of the cluster. 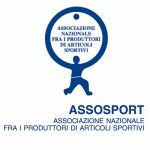 Assosport - Associazione Nazionale fra i Produttori di Articoli sportivi (Italian Association of Sporting Goods Manufacturers) - is the Italian national sector association which represents businesses in the sports sector. It is a non political and non profit association. 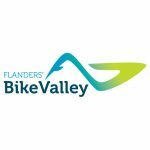 The Flanders’ Bike Valley Cluster brings together actors in the field of bicycle & cycling sciences and technologies: public research organizations, private companies and specialized service providers in a Quadruple Helix format, including strategic stakeholders. The Cluster is managed by experienced entrepreneurial managers with roots in business development and cycling industries. Flanders' Bike Valley's infrastructure includes a common wind tunnel testing facility for athletes, products, etc. for wind speeds until 30 m/sec or 110 km/hr for cyclists, ski and Alpine Sports etc. and an Incubator for start-ups, new companies etc. As an emerging cluster, the mission of the Flanders' Bike Valley Cluster is to actively participate in building a successful ecosystem that will attract and retain companies and laboratories that are active in the bicycle and cycling field contributing to boosting innovation, economic performance and employment. 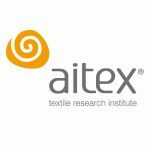 AITEX (ASOCIACIÓN DE INVESTIGACIÓN DE LA INDUSTRIA TEXTIL) is a private non-profit association that encompasses textile and related companies. Some current figures are that AITEX has more than 1.000 associated companies, more than 3.000 clients, around 250 staff and 9 delegations around the world (North and South America, China, Pakistan, Lithuania and India). 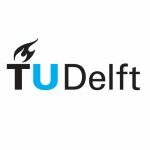 The TU Delft Sports Engineering Institute aims to create intensive interdisciplinary collaborations between researchers of the faculties 3ME, IO, LR, EWI and BK. It will give Delft a unique position as the most engineering oriented university in the field of sports research, combining the broad fundamental knowledge of these engineering faculties. 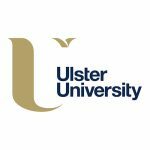 Ulster University is a dynamic research led University. Our core business activities are teaching and learning, research, innovation and technology and knowledge transfer. The Sport and Exercise Sciences Research Institute brings together international experts across a range of sport related activities, facilitating collaboration with the commercial and community sectors promoting research, education, policy and practical innovation. 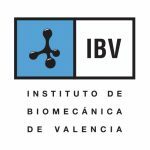 Ibv is a technological center applying biomechanics and ergonomics for developing products and services that add value by improving people quality of life. In sports arena, IBV specializes in people oriented innovation: from people to the market. It is a recognized center for sports surfaces (FIFA, ITF, IAAF,..), sports products, footwear and clothing. 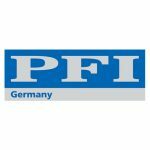 PFI Prüf- und Forschungsinstitut Pirmasens e.V. 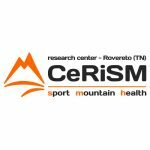 The Carnot STAR institute "Sciences and Technologies for Research Applications" is a key player in Sports and Health research, development and innovation. 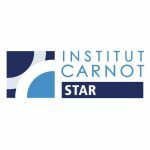 The Carnot STAR institute aims to providing access to competencies, technological platforms and results from the French public research to industrials. Thanks to the reputation and the research excellence of its eight laboratories, the Carnot STAR institute is able to address three targetted markets: sports equipments, connected objects/internet of things for Health area and biomedical imaging. 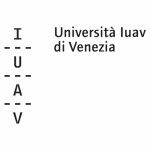 All the undergraduate courses consist of 4 years of study and in that period each student gains 240 ECTS credits. Students with higher ambitions have the opportunity to continue their studies and earn additional 60 ECTS (300 ECTS altogether) at master's degree. Faculty of Sport in Belgrade, in addition to the regular academic education, is also oriented to informal types of education through implementation of the programs of vocational training for performing certain professional tasks in sport. 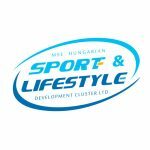 Our aim is to keep this part of the educational process of sports experts at high level and thus contribute to the improvement and development of Serbian sport. Vocational training programs were introduced in the obligatory practice of sports organizations and higher education institutions in Serbia due to the large number of former athlete and current sports workers, who perform a wide range of activities in the field of sports, but have no formal education. Basically, they need vocational training for the acquisition of the working permit, which allows them to work in sports organizations, in accordance with the law. The method of gaining the appropriate sports titles is clearly determined by the applicable legal and regulatory provisions and includes the fulfillment of certain formal-legal and educational and professional requirements and criteria. It is realized through joint work and cooperation with sport organizations and higher education institutions in the field of sport and physical education. Nova CHILD drives a network including companies, research and training institutes, with an innovative approach for the well-being of children. The cluster gathers and coordinates a network of professionals from sectors, such as: child care, furniture, fashion (clothing - shoes), toys, food, hygiene, services ... but also, universities, schools, research and technical centers, training institutes... who provide their skills and their expertise: marketing, human and social sciences (psychology ...), design, technical (materials, electronics, IT, ...), medical, etc. 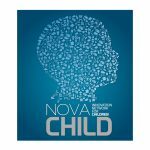 Nova CHILD strives to put the end user at the heart of the business and thus, mobilize these skills to make this network a true transverse center of expertise dedicated to the child. Dalarna University is a academic institution of higher education dedicated to education and research. The sports-science research at Dalarna University is focused on exercise physiology, physical education, sports media, and public health. Connected to these research areas, Dalarna University have a sports-science laboratory consisting of physiological, biomechanical, and biochemical sections. Many of the equipment in the sports-science laboratory enable field-test measurements. For now, Dalarna University will be represented in EPSI by Dala Sports Academy (www.dalasportsacademy.se) which is a center that focus on collaboration with external parties via transfer of scientific-based knowledge, development and innovation within the sports and health sector.